Healthy Hospo founder and marathon man Tim Etherington-Judge has joined forces with fellow former Diageo ambassador Stephanie Jordan to launch a Calvados brand. Avallen’s founders say the launch is intended to re-ignite appreciation for Calvados, while at the same time having a positive impact on wild bee populations. Avallen’s bee connection is rooted in Calvados’ production methods. The brandy is made from apples and pears that are cultivated in orchards which support insect and bird populations, and it is this biodiversity that make Calvados one of the more sustainable spirits produced around the world. 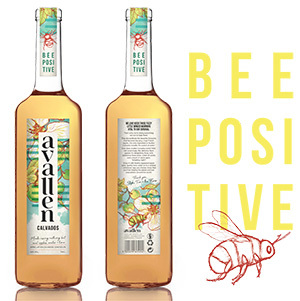 Avallen will be marketed with a #BeePositive message, and €0.50 will go from the sale of every Avallen bottle towards organisations that restore and protect bee habitats, as well as a commitment to plant 100,000 wild flowers over the next three years. As for the liquid itself, Avallen is a Calvados AOC, produced in the La Manche region of Normandy (pesticide free since 2016) and aged in French oak for two years. 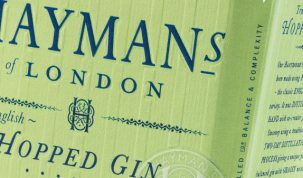 Bottled at 40% ABV, with no sugar, caramel, or boisé added, the brand’s name derives from the Old Cornish for ‘Apple Tree’, and the whole operation has been set up with sustainability in mind. Avallen’s bottle is designed to be both bartender-friendly and light weight, which reduces shipping carbon footprint. The bottle’s label is printed on recycled apple pulp paper, with the remaining pulp going to dairy farms to feed their herds.